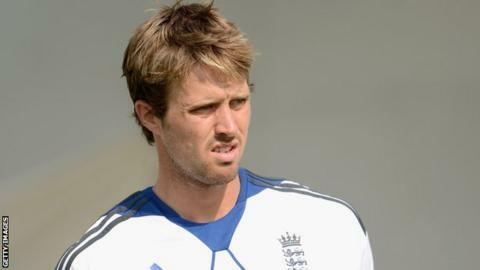 Somerset and England opener Nick Compton is trying to keep the summer Ashes series out of his mind and focus on the upcoming Tests in New Zealand. Compton, 29, made his Test debut in India after scoring 1,200 runs in last season's County Championship. "Just talking about the Ashes gives me the tingles," he told BBC Somerset. "I need to concentrate on the here and now which is New Zealand. If I do my job then hopefully the rewards will come further down the line." The South African-born batsman was chosen to open with England captain Alastair Cook for the Tests in India following the retirement of previous skipper Andrew Strauss. "Playing against India and walking out with the Barmy Army singing your name was amazing, some of the best moments of my career," he said. "To play with the likes of Cook, Pietersen, Prior, Anderson, it's just given me a taste and I can't wait for New Zealand now." Compton only managed one half-century in his debut series, but averaged a respectable 34.66 and was rewarded with an England and Wales Cricket Board incremental contract. "I know I need to score runs to keep my place. I expected myself to get a big score, so to make 30 a few times and not push on was disappointing," he reflected. "It's frustrating because they were innocuous dismissals but it's those little lapses in concentration that cost you at that higher level." Meanwhile, Compton believes there is new optimism at his county side Somerset ahead of the coming season. Dave Nosworthy was appointed as the club's new director of cricket in December, replacing Brian Rose. "I guess there are elements of 'wait and see' at the moment. It's always exciting when there's a few changes, it brings freshness into the camp. "Marcus [Trescothick] looking fit and ready to go after a few injuries last year is a major boost to the team as well," he added.